Donating to Think&Do primarily supports Avondale’s four research centres as they seek a better understanding of Christian education, health and lifestyle, teaching and learning and spirituality and worship. Here is a selection of the projects and scholarships supported by donors. Old school or cutting edge? Teachers demonstrating best practice reflect principles championed by White more than a century ago. This is the finding of a paper published by the Christian Education Research Centre at Avondale. Dr Peter Kilgour and Beverly Christian identify seven of the “most significant” new pedagogical concepts and compare them to what White wrote to parents, teachers and students. A record response to the Avondale Offering collected in Seventh-day Adventist churches across the South Pacific in 2016 saw the Lifestyle Research Centre offer not one but three Pacific Partnership Scholarships. One of the recipients: Dr Alipate Vakamocea, a former public servant who left a residency at the Colonial War Memorial Hospital in Suva to treat the causes not symptoms of chronic disease as director of health and temperance for the Seventh-day Adventist Church in Fiji. The scholarship provides seed money to Pacific islanders to begin postgraduate studies in lifestyle medicine—Vakamocea and his classmates receive full-fee waiver to complete the Graduate Certificate in Lifestyle Medicine, a one-year part-time course delivered via distance education. The aim: to empower those with influence to share their knowledge with those in their communities, many of which are now having to meet the challenge of treating lifestyle-related chronic conditions. Vakamocea is already doing his part, using his role as secretary to successfully encourage the Fiji Medical Association to resolve to make the Complete Health Improvement Program available to every doctor in the country. The church has tasked him with implementing other health initiatives, including opening a wellness centre, featuring a cafe, health food and bookshop and medical suites. Does planting a church on the campus of an Adventist school strengthen the relationship between education and faith? A study from the Spirituality and Worship Research Centre is analysing the plants and making recommendations. The aims? 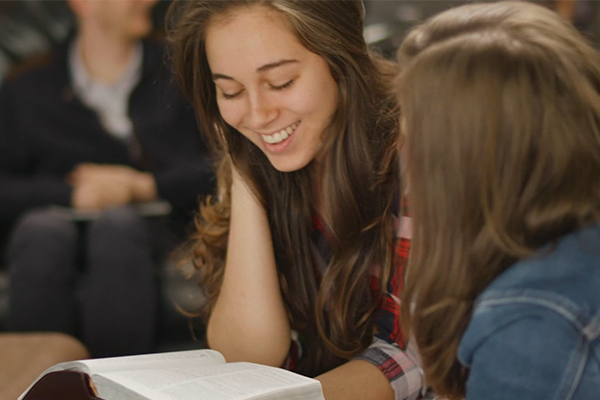 To bring greater synergy between pastoral ministry and the ministry of teaching and between church plants across Australia to better meet the spiritual needs of students. A multidisciplinary team led by Avondale Seminary Head Dr Kayle de Waal is using qualitative and quantitative research methodology. It is interviewing the senior ministers and head elders of the plants and of three surrounding churches and the principals and the deputies of the schools. It is also hosting focus groups to give ministry leaders and members of the plants and teachers at the schools an opportunity to listen to other perspectives. And it is surveying members of the plants and of the surrounding churches. Think&Do is based on a statement from a book exploring biblical principles of Christian education. “Every human being, created in the image of God, is endowed with a power akin to that of the Creator—individuality, power to think and to do,” writes White (Education, p. 17).